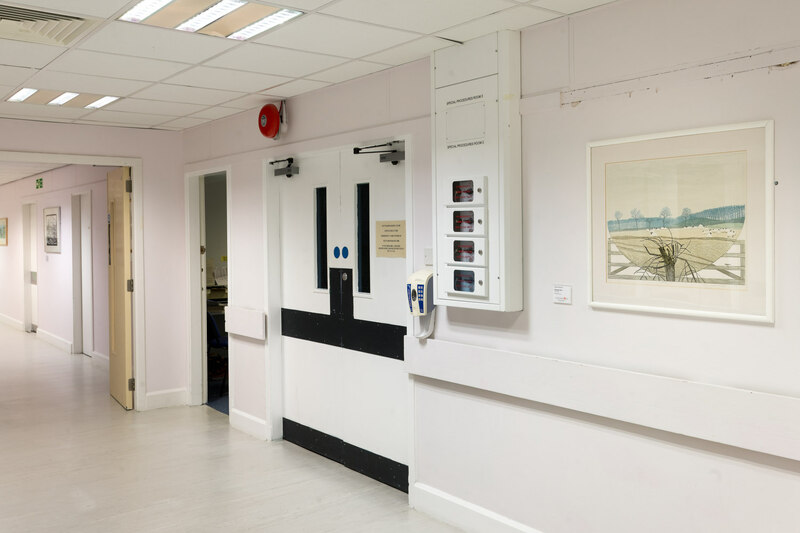 Consulting with staff from the Radiology department, we made a selection of work that showed the atmosphere of the North East landscape. 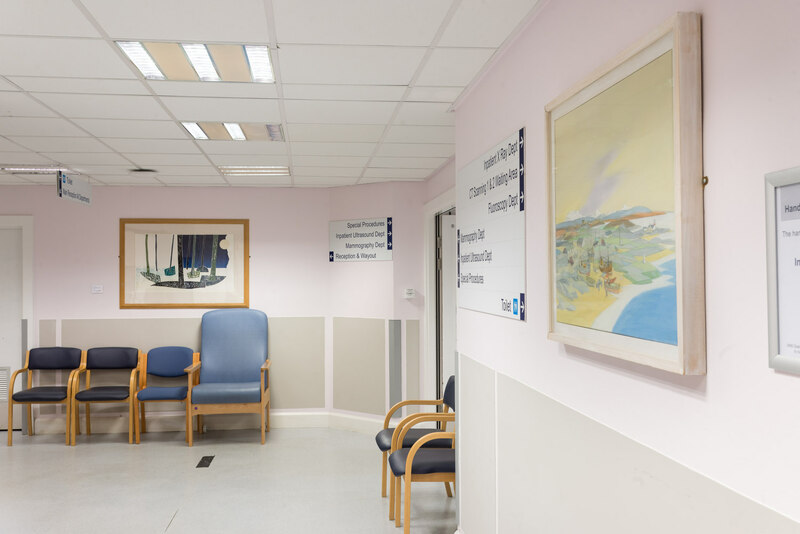 In particular, we wanted to map a journey from land to coast, reflecting the agricultural and fishing industries which have shaped the culture in the Grampian region. 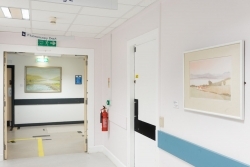 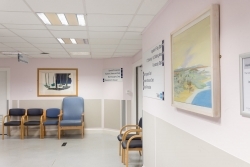 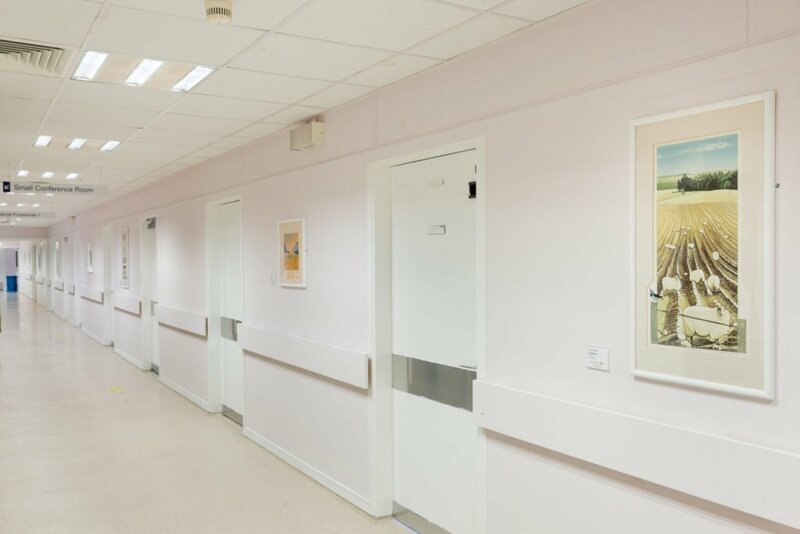 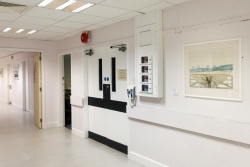 These diverse but cohesive works appeal to the wide-ranging demographic of the department, but also created a relaxing atmosphere for both patients and staff. 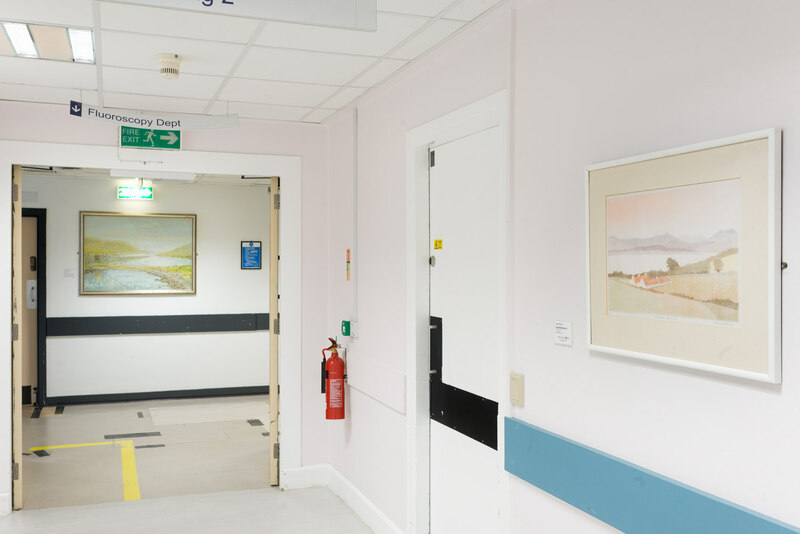 From rural, traditional fishing villages and shipyards to Frances Walker’s windswept and rugged coastlines; to the calm and picturesque farmland works of Barbara Robertson, a full view of the Scottish landscape is represented. 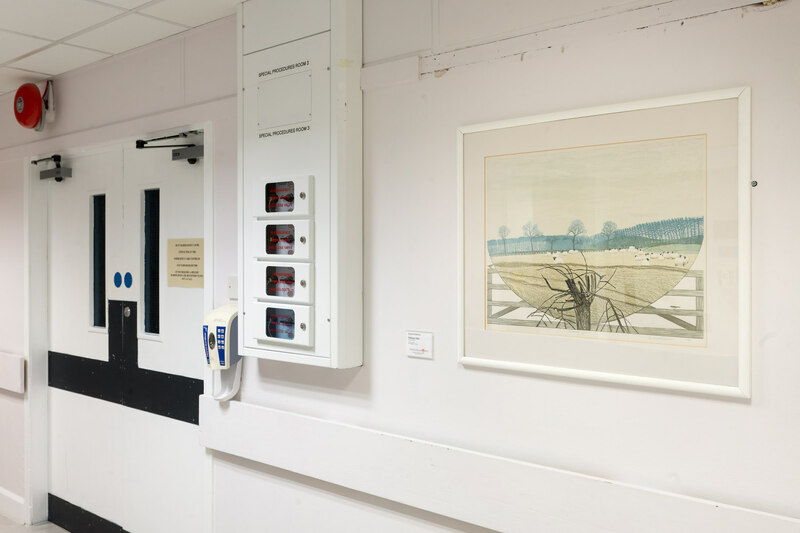 The selected artworks melded well with the pre-existing works in the department, such as Dalziel + Scullion’s magnificent tree portraits and an abstract landscape by Michael Waight. 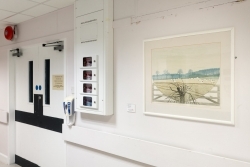 Yet this exhibition also provided an opportunity to display some lesser-shown works from the GHAT Collection, particularly works by Gladys McAvoy, whose delicate prints with their soft, muted colour palette looked beautiful in the newly painted, brightly lit area.